1. Trip: Picos de Europa, Spain | When: Jul & Aug.
We say: Jaw-dropping backdrops and testing terrain. 2. Trip: Celtic Crossing, UK | When: Jul. We say: An epic Highlands journey in remote wilderness. 3. Trip: South Africa & Botswana | When: Aug to Nov.
4. Trip: Chilterns, UK | When: Aug.
We say: A short escape that won’t break the bank. 5. Trip: Highlands Coast to Coast, UK | When: Aug.
We say: A rewarding way to explore the best of Scotland. 6. 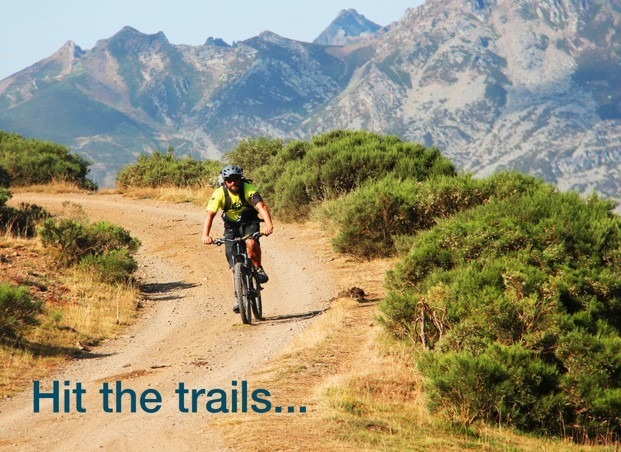 Trip: Pyrenees Enduro, Spain | When: Aug.
We say: A route tailored to singletrack junkies. 7. Trip: Sandstone Way, UK | When: Sep.
We say: Secret routes in unspoilt Northumberland. 8. Trip: Sacred Singletrack, Peru | When: Sep.
We say: The holy grail of mountain biking experiences. 9. Trip: Via Francigena, Italy | When: Sep.
We say: A thrilling route along an ancient pilgrimage. None of the above tick your trail-finding boxes?Check out our full range of bikign trips by clicking here.